In the resources industry, every minute of shutdown lessens the profitable output. 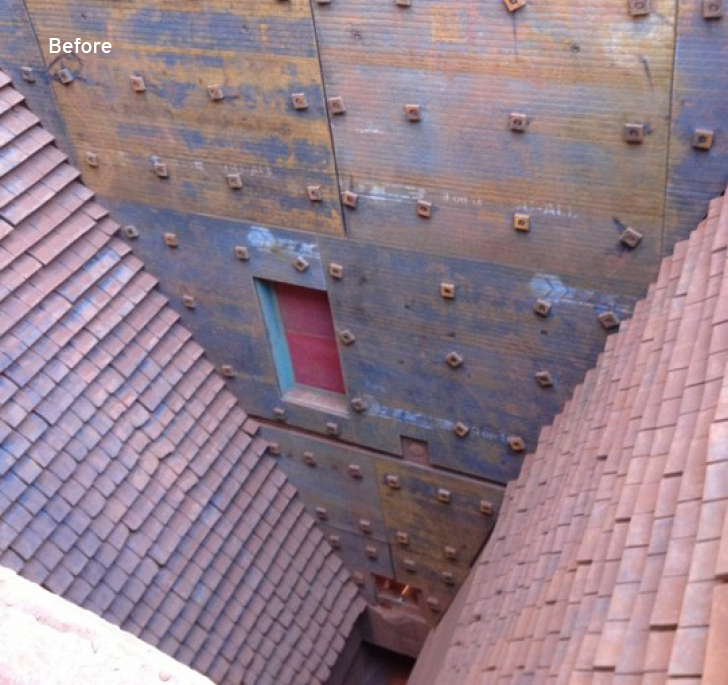 So when this large iron ore miner needed to minimize downtime, they turned to the experts - the OEM Group. On this site, changing the wear liners and checking the condition of the main input chute is a regular necessity. However it's a tricky job and required maintenance workers to set-up complex scaffolding so they could climb down into the chute. The operation was not only very time consuming, it also compromised safety. After talking to the client - listening closely to understand the design concept they had in mind - and then studying the preliminary drawings they supplied, we tailor-made platform that fits perfectly in the chute. Easily craned into position, it fits snugly and safely, giving workers stable unimpeded access to the wear liners. A job that once took days - when the assembly and disassembly of the scaffolding was included - now only takes half a day. 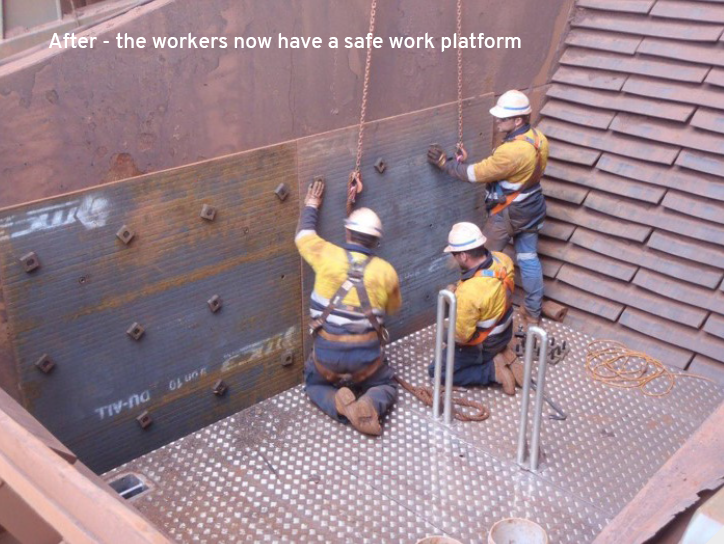 The workers are extremely happy that the company looked after their welfare and provided a safe and reliable solution. With less downtime, the whole operation spends more time in full operational capacity.